The sun shines down on peanut trials in Leary, GA, for the first time in weeks. Rain has been falling in southwest GA for almost 30 days, but a recent visit to the Grow More Experience Tifton satellite site in Leary, GA, brought sunshine. Many growers were taking advantage of the break in the rain and were out spraying fields, which was evident from the sounds of spray planes overhead. 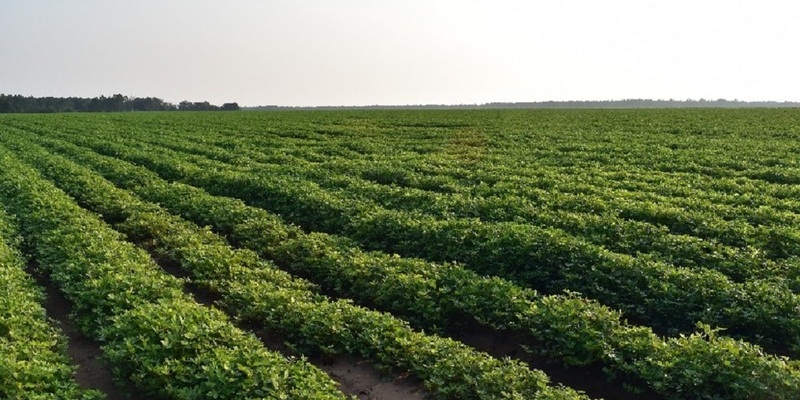 Despite the almost constant rainfall in much of July and August creating an ideal environment for diseases to infect crops, peanuts treated with Miravis® fungicide were still mostly disease-free. Peanuts at the Leary site were planted in early May and still have a few weeks until harvest. We are running several peanut fungicide trials in the area, including a Miravis and Elatus® fungicide 5-pass program versus a competitor 7-pass program. Early signs of leaf spot were visible on the bottom of many of the competitor trials, while the Miravis trials still looked clean. The Alabama Cooperative Extension says late leaf spot is typically more aggressive and harder to control than early leaf spot, and comes with a greater chance of yield loss. Late leaf spot is usually seen in late June and early July, but there are beginning to be reports of late leaf spot in August, much like what’s been seen in the competitor programs at the Leary field. While it was time for another pass on the competitor programs, Miravis was still going strong. Miravis provides up to 28 days between applications, which is double the spray interval of competitor programs. Miravis provides you with a new way to control one of the toughest diseases in peanuts. Contact your Syngenta representative to visit a Grow More Experience site near you. For future updates from our Tifton Grow More Experience satellite sites, sign up for the Know More, Grow More Digest to receive twice-monthly agronomic email updates pertinent to your area.